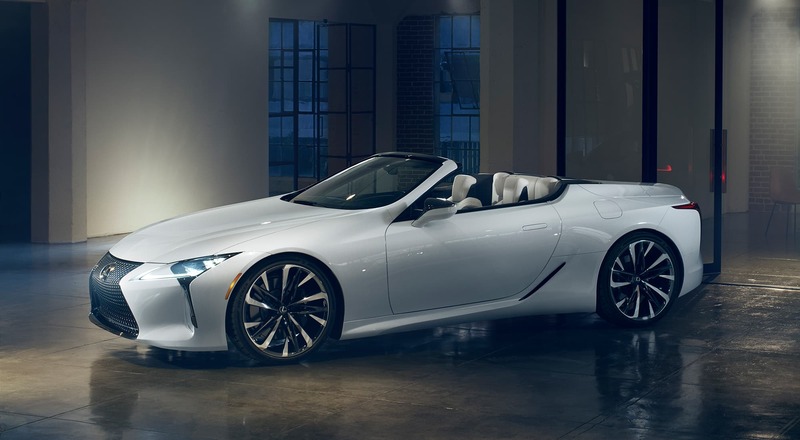 If you — like everyone else — felt your jaw drop when you first set eyes on the stunning LC 500 coupé three years ago, be prepared to pick it off the floor again, because Lexus has just made everyone’s dream a reality — by taking its top off. The exquisite Lexus LC Convertible might still be labelled a “concept” for now, but it’s almost an open secret that it’ll go into production in the near future. Especially when its hard-top counterpart was received with such fanfare; few modern GTs looked half as good as it did. Unlike many other open-top variants, the LC Convertible hardly looks like a hastily cobbled-together afterthought. 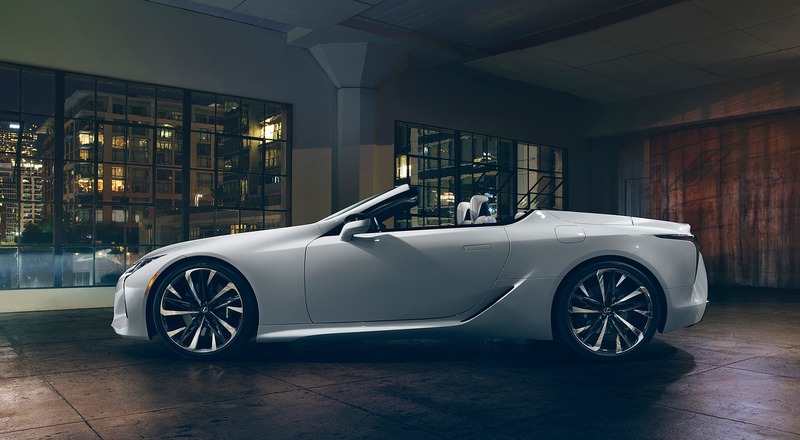 Quite the contrary, the lack of a roof actually brings out the dynamic proportions of the LC 500, giving the sporty ride a longer and more purposeful stance, especially with those snazzy 21-inch wheels. 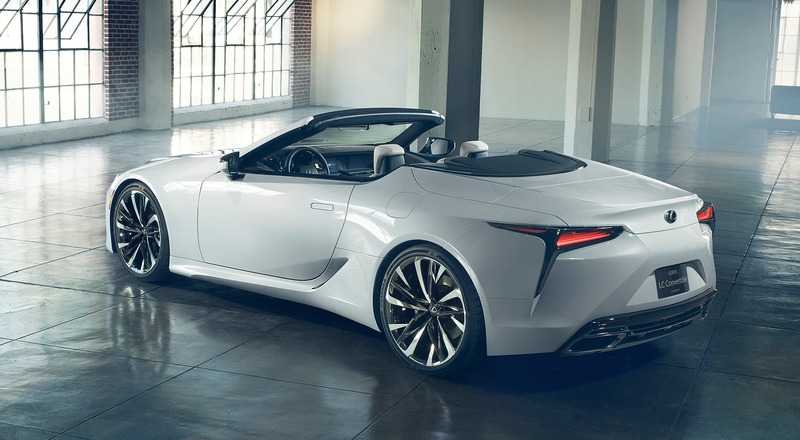 While Lexus and its chief designer Tadao Mori still remain tight-lipped on the finer details of the open-top, the car will likely feature a 2+2 design within, even though the vestigial rear seats look big enough to only accommodate toddlers and very small people, much less a folded roof. The laws of Japanese ingenuity, however, always states that they will find a solution to the most impossible questions. Perhaps we’ll see an origami-styled metal roof that’ll magically tuck its way into the car’s long rear deck — just like the firm’s SC430 that ceased production nine years ago. While official details on the powertrain remain tightly under the bonnet for now, it’s most likely the convertible will carry the LC500 coupe’s 471hp 5.0-litre naturally-aspirated V8, which is by no means a dull way to get some sun.